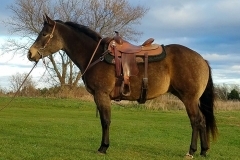 Wyatt is a 15.2 hand, 5 year old double registered buckskin gelding by Macs Good N Plenty, Congress Pleasure Champion and sire of AQHA World & Reserve Champions, Congress Champions and Reserve Champions and PHBA & Pinto World and Reserve Champions, out of a daughter of One Impressive Beau, dam of Whats On Your Mind, leading 2013 WQHA all around youth and An Extended Holiday, 2013 ARHA World Champion Horsemanship. 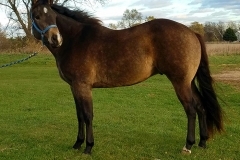 He has a cute head and a big hip. 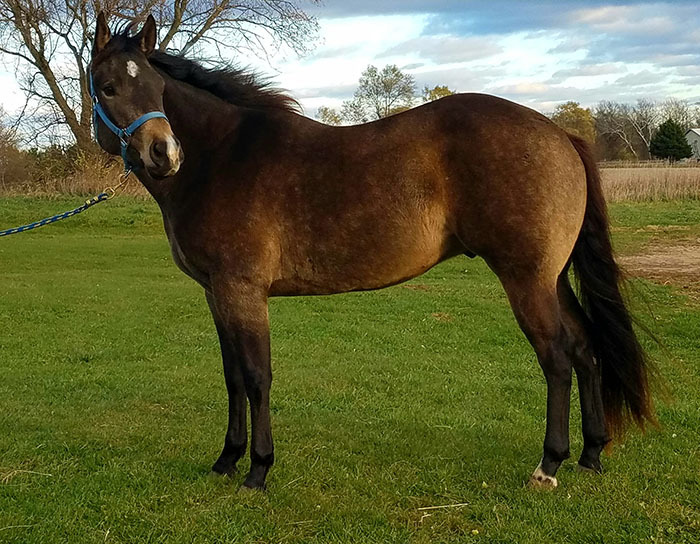 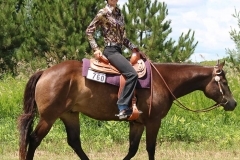 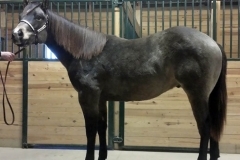 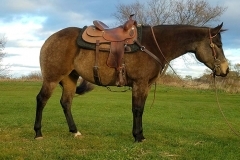 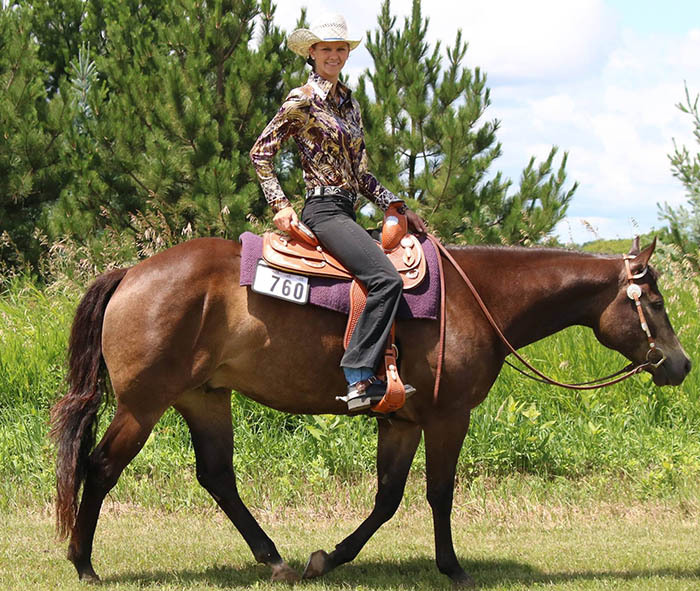 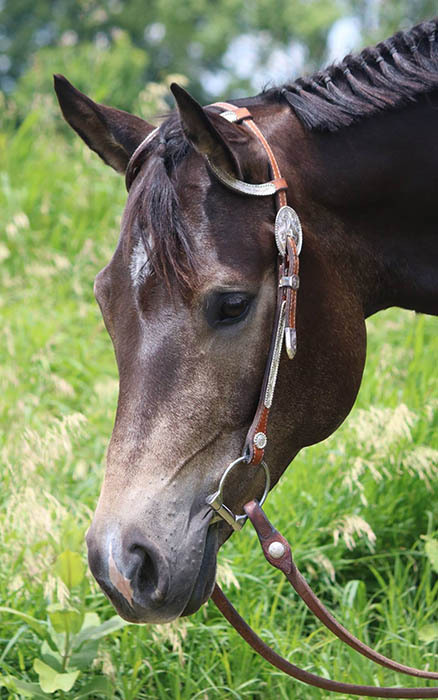 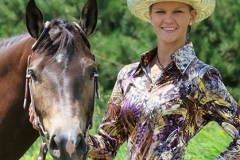 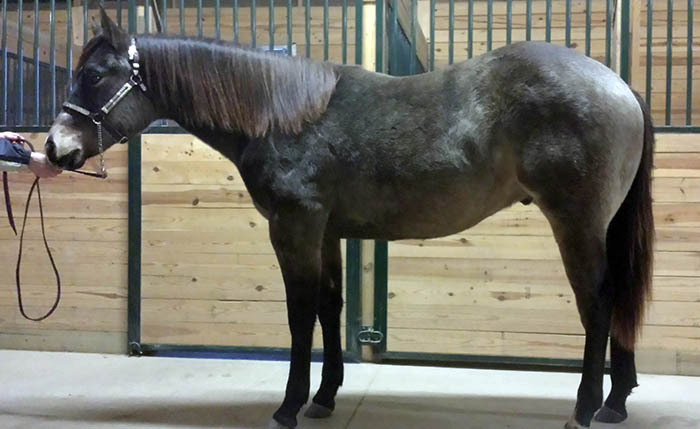 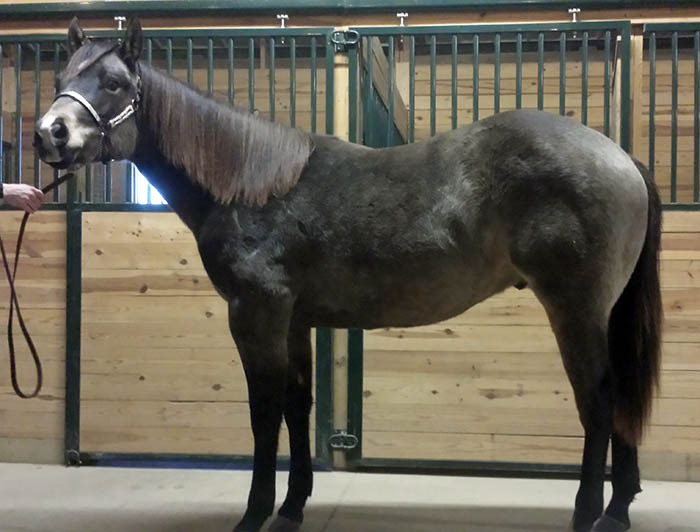 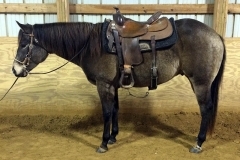 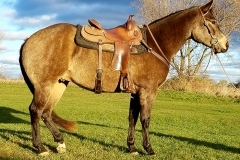 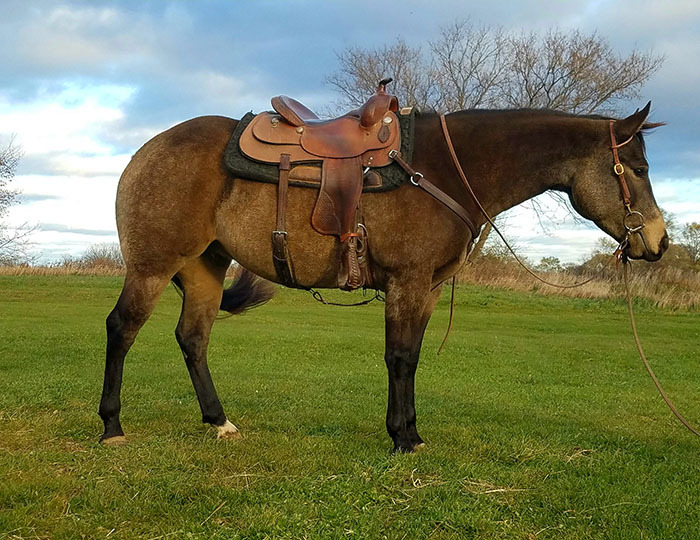 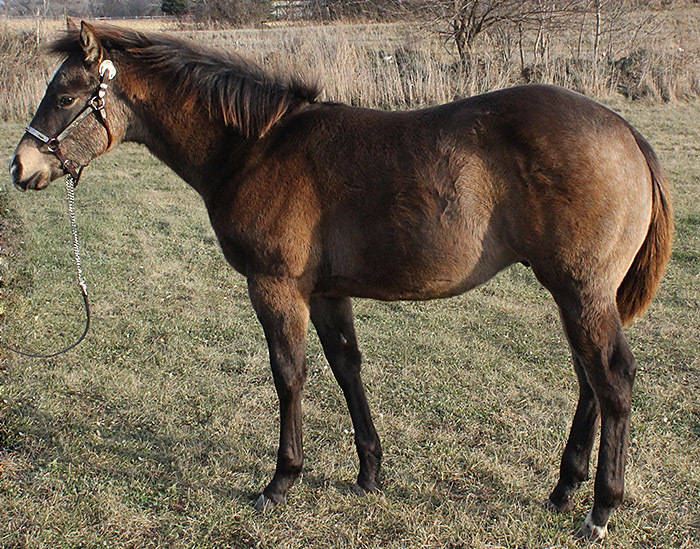 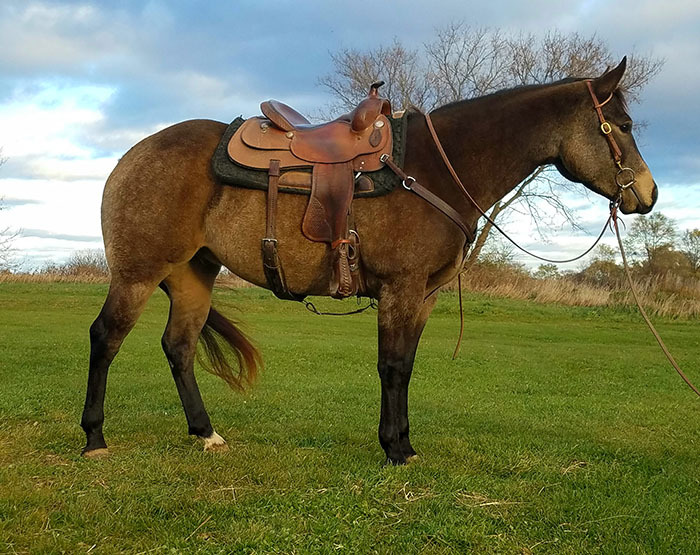 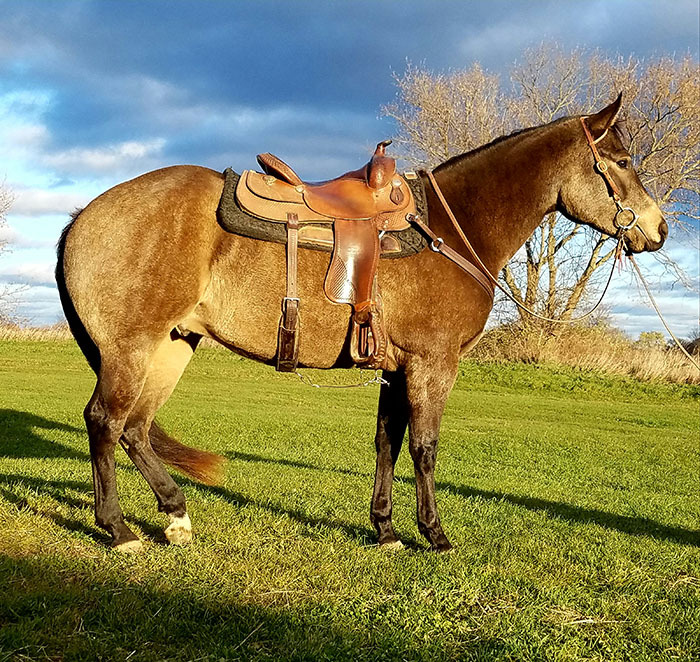 This pretty gelding has unbelievable movement and a great disposition. 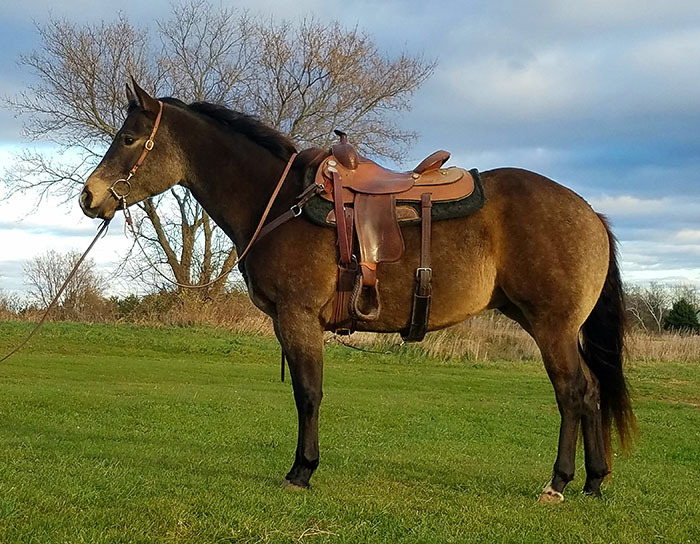 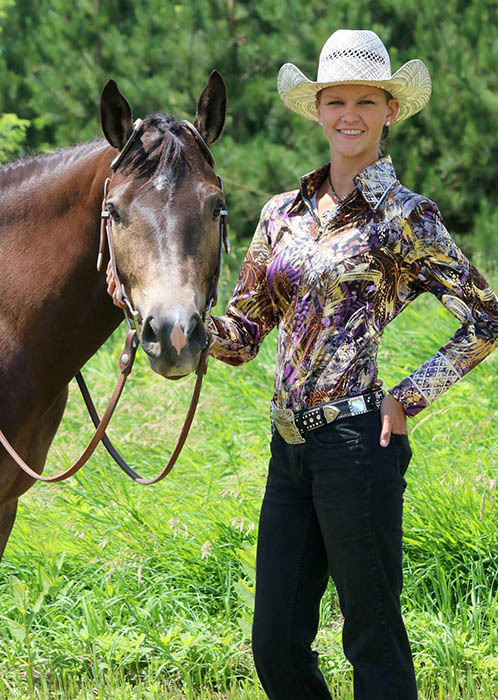 Wyatt has been shown on the Wisconsin Buckskin circuit and excels in western pleasure and hunter under saddle. 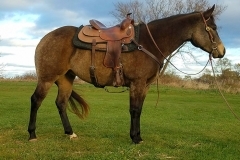 He camps, pickets, and trail rides quietly, and he will make a very nice all around mount. 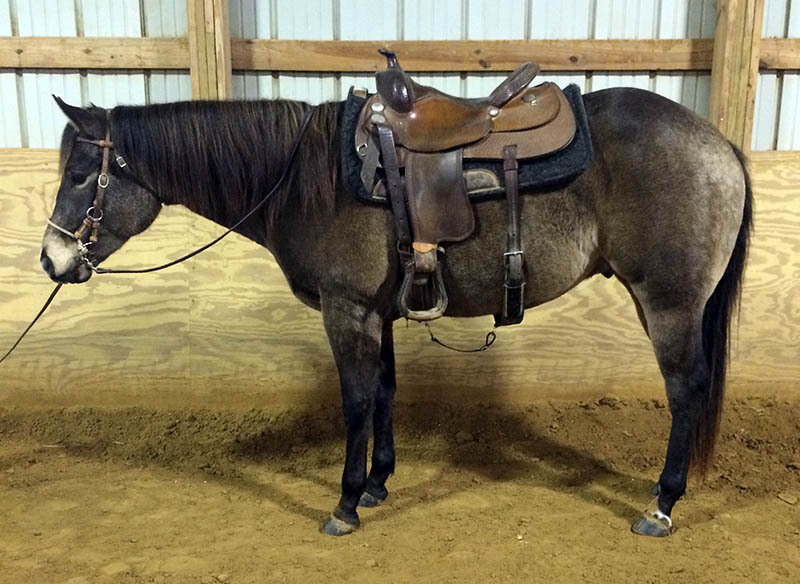 Wyatt is nominated for the AQHA Incentive Fund. 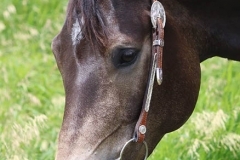 He has no vices, clips, bathes and loads. 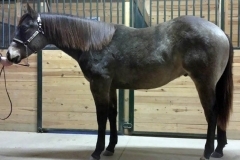 See Julie for more information.